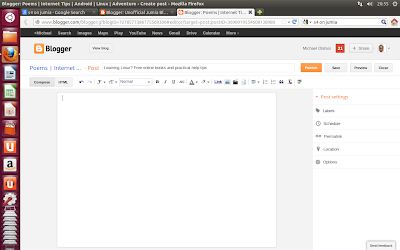 Well just in case you still do not realize that I am typing this post on a Linux OS. Checkout the following screenshot. Yes, I am typing out this post from my Ubuntu Linux OS, and I also have OpenSUSE, Windows 7 RC & Windows 8 RC (no $ to buy commercial version) all running on the same laptop, my venerable SONY VAIO. So how did I learn to use Linux? It all started in 2008. I started from ground zero. 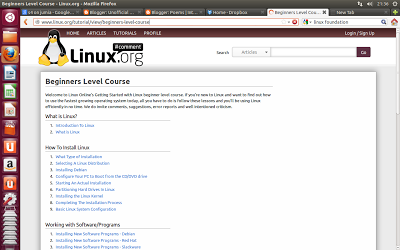 I was at the peak of my IT certification frenzy and I heard of this Linux + certification, so I decided to attempt the certification. I had done Oracle 10g Database Certified Administration Associate (OCA 10g) and Cisco Certified Network Associate (CCNA). I spoke with a senior colleague, and he was too busy to even hear me out. I proceeded to help myself, I downloaded Ubuntu 8.04 alternate CD (my greatest mistake in IT, so far) and ended up irreparably crashing my Windows. 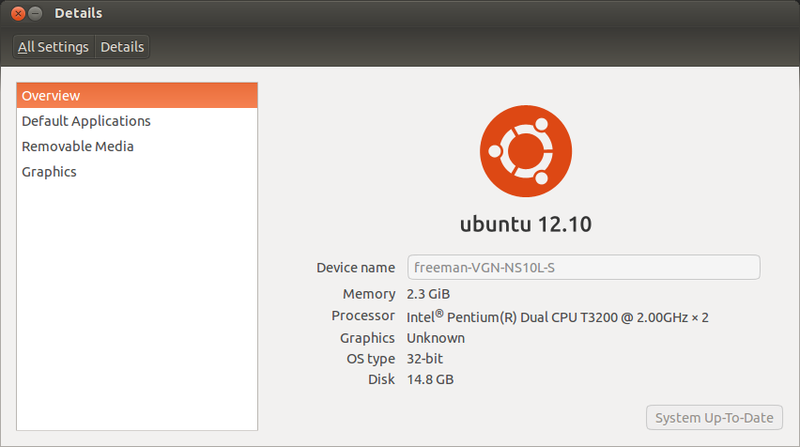 The problem was I downloaded an alternate CD, fortunately, Ubuntu no longer makes alternate CDs (I think). An alternate CD is purely a commandline based installation CD, and I knew nothing about Linux file structure - root folder, home folder, file system, swap space... I got stuck for what seemed like an eternity at specifying root file and choosing file system, it won't let me choose NTFS and I knew jack about the other options. Finally, after trying out so many combinations, it finally accepted one. I had installed my first Linux OS all by myself, without any help. I was extremely happy, even though my Windows was gone. 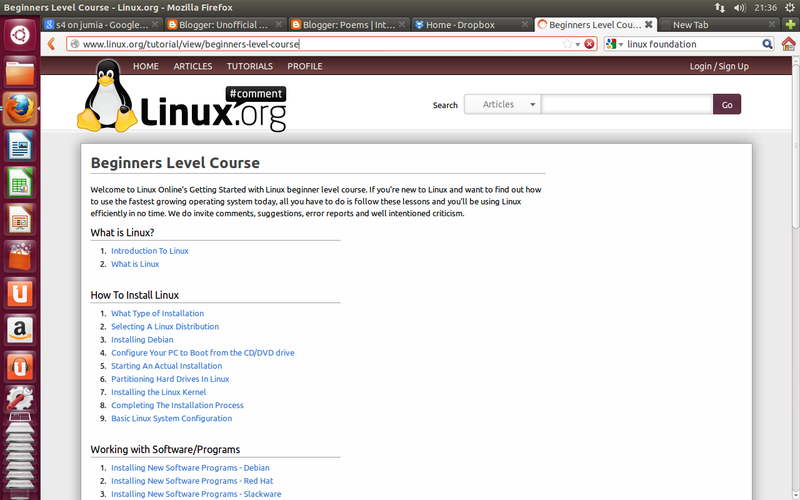 Ever since, I have grown in my understanding and use of Linux. I have installed Linux for over 20 people, installed nearly all the free distros and have been quadri/penta-booting OSs on my laptop since 2009. And I now train people on how to use Linux. How did I achieve my expertise? I read all I could on Linux. I kept practicing, sharing my knowledge and helping people solve their computer problems with my Linux knowledge. It got me the fix-it guy status among my friends. Reading and practicing is the only way to learn Linux. Where can you get good Linux books for free? I assure you that by reading these books and practicing on a real Linux system, you'll become a Linux guru too. MCITP Training, Online CCIE Training, Online Ethical Hacking Training, Online CCNP Training, Online MCSE Training, Online CCNA Training, Online Linux Training, Online Cisco Training, Online VMware Training and more offered by Zoom Technologies by highly proficient CISCO certified experts - Hyderabad, India.